Make a statement with these personalised and unique cufflinks, simply add your own personalisation to make your special gift unique. 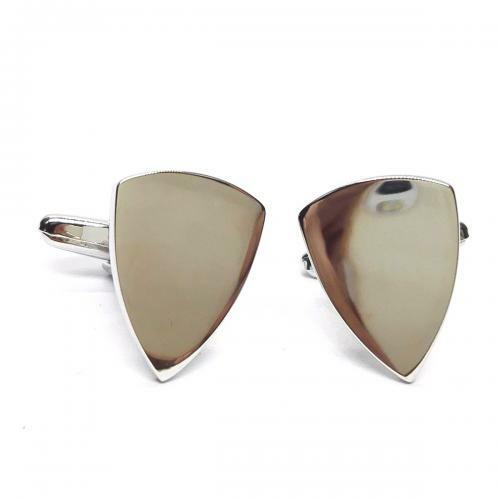 These rhodium plated cufflinks are a unique shield design. Maximum amount of characters is 148.